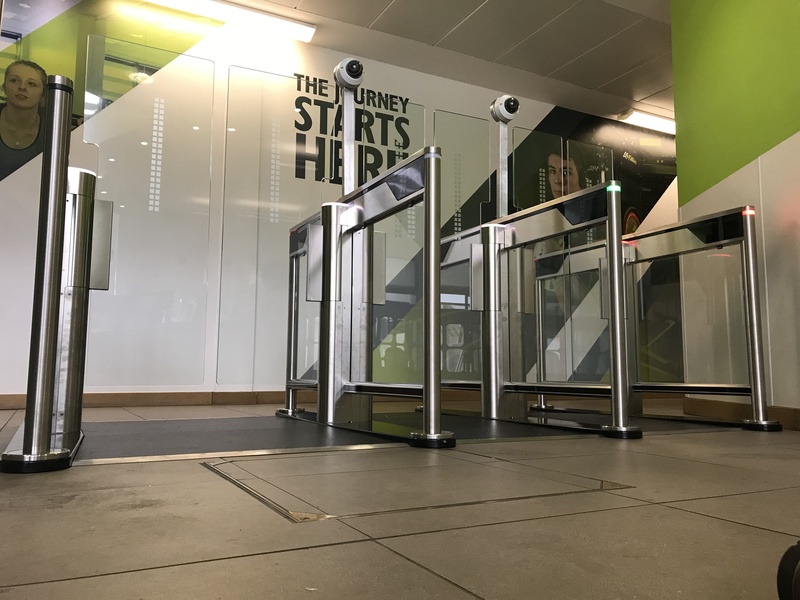 When you look to improve security and pedestrian access into a building whether that be an office, gym or other commercial building most people firstly look at access control into an area or door. The problem with this is that tailgating is too easy and can still allow access into restricted parts of the building. Return on investment is also an important factor so what may cost more to implement may not cost as much for the full life cycle of the equipment. All our equipment comes with a two years parts warranty and for the most part five years if services correctly. It is important to note that MCBF figures give an indication of the life span of the product. The rest of this article will now concentrate on three options for securing the entrance of a building, ranging from low to high level security detailing the pros and cons associated with the product choice. What we class as 'low level security' is an object that restricts personnel access and it is estimated that 80-90% of people would be deterred entering, however cannot guarantee entry if someone is persistent. An example of a 'low level' product would be a tripod turnstile or access gate used to allow people with reduced mobility through. 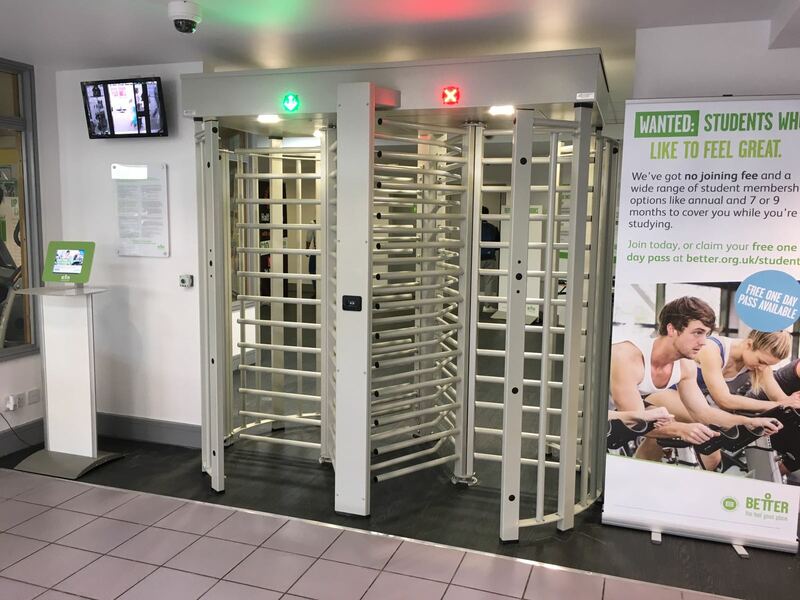 Even at this low end of the security scale we would class some of the entry level speedgates as dissuasive as they offer more intelligence and set off an alarm if someone tries to tailgate or circumnavigate the equipment. The low glass would still be a dissuasive option. Pros: Easy to implement, inexpensive option to give someone control of access, alarms on tailgating on speedgates , always on making it reliable. Cons: Throughput around 15-20 ppm on tripod, can be overcome, no alarms on gate and tripods if someone overcomes the object. 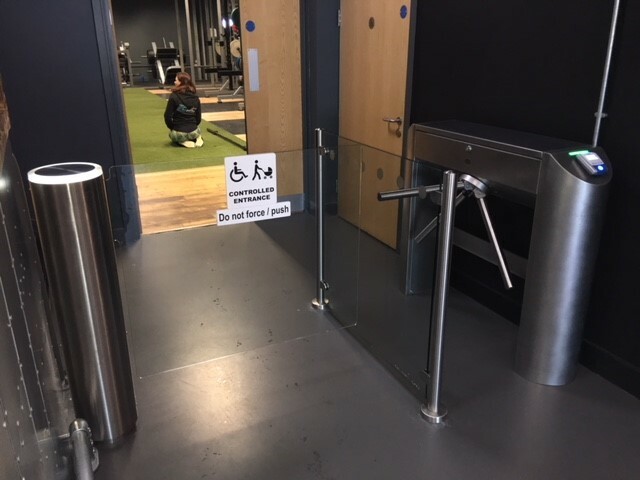 Disabled access gate and tripod turnstiles at UFit Cardiff. This would be your typical speedgate. These units come with tailgaiting detection to prevent unauthorised access past the speedgates. The higher glass option would prevent someone from entering the building and climbing over or trying to vault the equipment. Glass height can be at 1.2, 1.5, 1.7 or 1.9M high. These give you added physical security with both options locking on forced entry. Therefore could be used in an unmanned corridor or somewhere away from security or a receptionist. Pros: Physical deterrent, tailgaiting detection with alarms, fast flow around 30-40 ppm, locking wings so someone cannot just push past the speedgate, always making it reliable. Cons: Expense in comparison to option one. 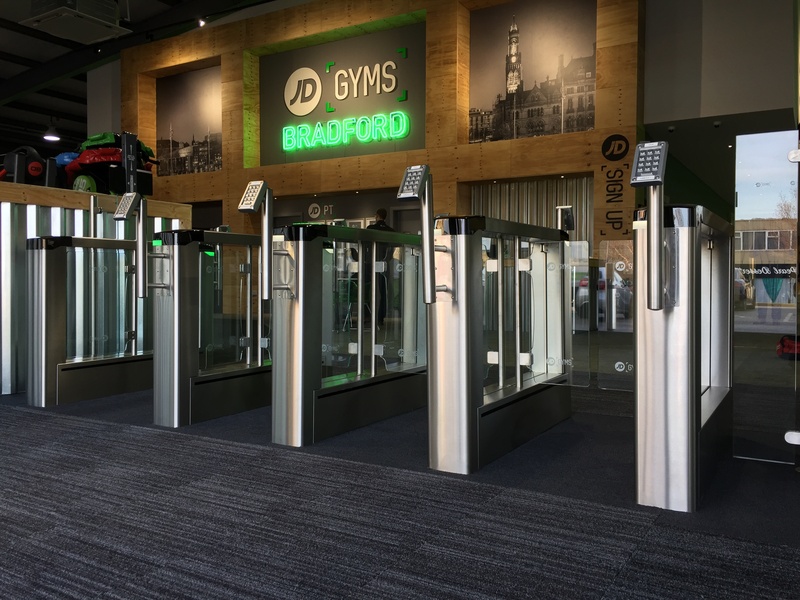 First Lanes and Keypads at JD Gyms Bradford. Slim Lanes at the University of Exeter. Here you would be looking at a full height turnstile stadium type which allows unicity of passage due to the height and sections of walkway. If you are, however, looking for a single person passage then an airlock type of portal is the perfect solution. This controls access by passing via two doors and effectively controlling the space in the middle to check the uniqueness of passage. It is monitored by dynamic weight control which can detect two people entering the portal. This unit can also be improved with an attack resistance for both physical and ballistic attack. Pros: Physical deterrent, single person detection, unicity of passage, always on making it reliable. Cons: Slow transit time with full height turnstiles 15-20ppm and portals 6ppm. A potential of feeling claustrophobic. Full Height turnstiles at GLL Bournemouth. A special thanks to Dave Duffy, our entrance control specialist.